Handmade felt and lace green cuff. 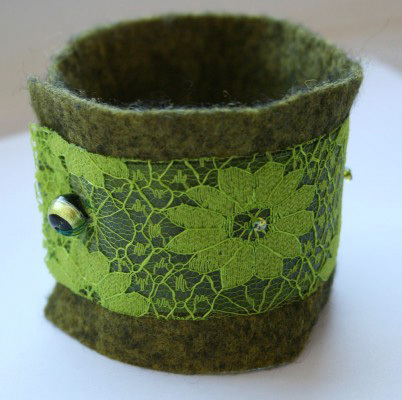 This bracelet is made with handmade green felt, overlaid with green lace. Green peridot beads are hand stitched to adorn the lace. 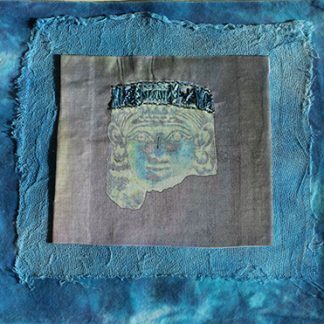 It has a Murano bead to fasten. It is easy to wear and looks beautiful. 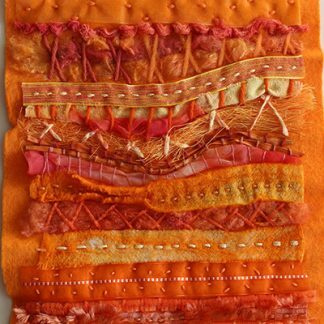 As a Yorkshire textile artist I love to make wearable art and textile jewellery. 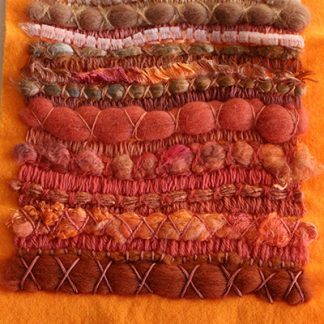 This is a one-off handmade piece of textile jewellery for you to wear. It measures 27cm x 6cm unfastened (11 x just over 2″), and 22 cm (9″) when fastened. The bead could be moved to make it smaller.